Sit amet, conse ctetur adip iscing elit praesent tempor, turpis nec iaculis elementum, tellus mi ullamcor per in pretium libero orci sit amet massa. It is with much pleasure and excitement that we announce the 4th xMAP® Connect, to be held in Amsterdam. During the two-day program, you will hear from multiplex experts about their best practices on various research applications and have the chance to meet with fellow researchers, Luminex Partners, and specialists on site. 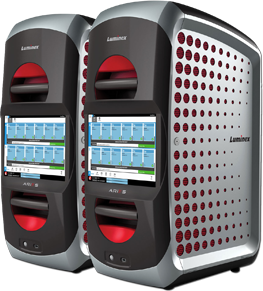 Make sure to grow your multiplexing network and register today! Hotel Arena is a city hotel extraordinaire. Deeply rooted in Amsterdam, with the Oosterpark at its feet. A place with an urban crowd and a village feel, where the lines between park and hotel, City Centre and Amsterdam East, day and night, work and play, friends and strangers are blurred. The monumental building is a green hideaway to celebrate the contrasts that colour the city. It is the place you go to eat, drink, work, sleep, and dance. Where you talk and listen, discover and admire, come home, go out, and broaden your horizons. The most beautiful hotel in the east of Amsterdam, that’s how The Manor is known. The Manor previously fulfilled a role as a civilian hospital and district office, but today it’s known as a full-service, urban boutique hotel. The Amsterdam Tropen Hotel is located in the east, bustling neighbourhood of Amsterdam that has all the ingredients that make a visit to the Dutch capital so remarkable. The historic centre is a bicycle ride away, and local sights and sounds thrive just around the corner. Eat with Amsterdammers on the Middenweg, take a walk in the park with the neighbours, and go for a relaxed shopping spree in the trendy boutiques of the Linnaeusstraat. East-west, east best! What’s more fun than processing the lectures of the day while enjoying food and drinks with your new multiplex friends? Don't miss the opportunity to grow your multiplexing network and register today! opportunity to present their multiplexing work! Click here to view a list of our accepted posters. KIT was founded in 1910 as the ‘Colonial Institute’ to study the tropics and to promote trade and industry in the colonial territories of the Netherlands. It was founded on the initiative of a number of large companies, with government support, making it an early example of a public-private partnership. 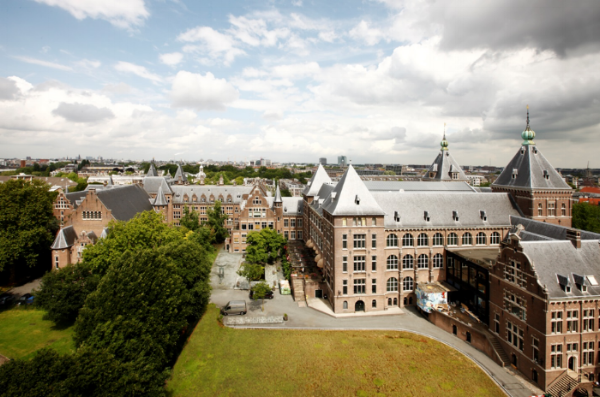 Since 1926, KIT has been housed in a historic, neo-renaissance building at the edge of the Oosterpark specially designed by the architect J.J. van Nieukerken and his sons. Follow the A4 highway in the direction Amsterdam - On the A10 follow Ring Oost and take exit Watergraafsmeer (S113) - At the traffic lights turn left, direction Watergraafsmeer - This street is called Middenweg and will change into Linneausstraat, follow this street for about 4 kilometers and you will see the Amsterdam Tropen Hotel at your left-hand side, where you can park your car. Follow the A2 highway in the direction Amsterdam - On the A10 follow Ring Oost and take exit Watergraafsmeer (S113) - At the traffic lights turn left, direction Watergraafsmeer - This street is called Middenweg and will change into Linneausstraat, follow this street for about 4 kilometers and you will see the Amsterdam Tropen Hotel at your left-hand side, where you can park your car. Parking KIT has its own private parking next to the Amsterdam Tropen Hotel. A parking space can be reserved through Mobypark. Paid parking in the streets of the neighbourhood of KIT is also a possibility. The main entrance of KIT is located at Mauritskade 64. When parking in Amsterdam Oost near the Dappermarkt, you have to walk around the building of KIT on the Linnaeusstraat, pass the Tropen Museum on your left hand, turn left on the Mauritskade and you will face the entrance of KIT on your left-hand side. Tram number 9 (direction Diemen) to tramstop Alexanderplein - Head east on Alexanderplein toward Alexanderkade - You cross the bridge and go left, now you will face the main entrance of the premises of KIT at Mauritskade 64. Tram Number 9 (direction Zoutkeetsgracht) to tramstop Linnaeusstraat/ Wijttenbachstraat - Follow the Linnaeusstraat north-west - Turn left on the Mauritskade and after a few minutes you will face the main entrance of the premises of KIT at Mauritskade 64. Interested in xMAP Connect 2018?